Just five weeks till the MBS Xojo Developer Conference in Berlin. Have you seen the list of guests coming to our conference? Travis Hill, engineer at Xojo, Inc.
Ulrich Bogun, German Xojo Evangelist at Xojo Inc.
Antonio Rinaldi, Italian Xojo Evangelist at Xojo Inc.
Javier Rodriguez Menéndez, Spanish Xojo Evangelist at Xojo Inc.
Carol and Bob Keeney from BKeeney Software Inc.
And of course a lot of regular attendees. With over 70 attendees this is our biggest conference. For Geoff Perlman this is the first European conference since 2008. Your chance to talk to the CEO of the company and ask all your questions without traveling to the USA. Along with Geoff comes Travis Hill, the developer who is in charge for Android. From Europe we will have all four local Xojo employees: Stéphane Pinel from France, Ulrich Bogun from Germany, Antonio Rinaldi from Italy and Javier Rodriguez Menéndez from Spain. Your chance to talk to someone from Xojo in French, German, Italian or Spanish. If you have questions about DynaPDF, be sure to ask Jens Boschulte about his library. The plugin part is from me, so for plugin questions check with me. But if you need new PDF features, ask Jens and once he adds them, I can update the plugin. Carol and Bob Keeney join us and can show you the BKeeney products like Shorts, FTC and Active Records. With over ten years of consulting experience you can learn from them how to do contracts, handle clients and run a Xojo consulting firm. You may be a subscriber of the Xojo Developer Magazine. Marc Zeedar, the publisher of the magazine, will attend our conference. Be sure to talk to him about how he automates the production of the issues. If you like to get one of the year books, you can email him to bring you a copy. For the first time we could get Björn Eiriksson to leave Iceland and join a Xojo conference. Björn creates plugins for Xojo for over 15 years and is great guest to have. Finally Yousaf Shah will talk about running a business, David Cox about web apps, Mattias Sandström and Heinz Jürgen Groß about their Raspberry Pi projects. And there is you: Bring your computer with your projects. Show your projects and see what others do. Learn from them how they solved problems and implemented great features. If you found an issue with Xojo, demonstrate it to a Xojo engineer. Sometimes the direct contact helps to identify a bug or add a little feature right away. As you know I come to attend the FileMaker DevCon 2017 in Phoenix Arizona. I know I have over 20 Xojo developers using my plugins in Phoenix alone. A few more live down in Tucson, so maybe I could make a trip to visit Tucson and meet them. And a few FileMaker people may not be able to join the conference, but still have time for a casual meeting. So my offer as usual: I reserve a table in a nice restaurant and be there. You can join and we can shop talk all night. Ask me plugin questions, bring your laptop and show projects. If you are interested, please add yourself to the survey. And please make sure I know your email address, so I can contact you with details on the location. Suggestions are welcome! Nickenich, Germany (March 29th, 2017) -- Monkeybread Software releases version 1.0 of the MBS Xojo UDP Socket Kit. Our UDP Socket Kit requires Xojo 2015r1 or newer. The UDP Socket Kit is available for $99 USD or 79 Euro (+VAT if needed). Buy Now or get all our iOS Kits in one set: Buy Set. The last weeks I worked on integrating Amazon S3 for a client. Normally using any web services is not much work as our CURL functions in the plugin handle the transfer thing with authentication and encryption. But for Amazon's web services, some extra work is needed. So for next plugins, I implemented AWS4-HMAC-SHA256 signatures. They are required to authenticate and talk to the web services. To setup this, you pass our plugin the required informations: AWSAccessKeyId, AWSSecretAccessKey, Region, Service, Path, Domain, Verb, HashedPayload, Headers. The key and secret are available from Amazon on their website. The region defines where your server is, for me eu-central-1 with server in Frankfurt, Germany. The service in my case is s3. The path defines the path to the file, e.g. "/test.jpg". The domain can be calculated by plugin or overwritten by you. Usually it is something like s3.eu-central-1.amazonaws.com with various region names included. Verb defines which HTTP operation to do: get, put, delete or post. The payload sent needs to be included in the signature. So if you provide the data to upload/send before our call to setup with our input functions, the plugin can hash it and include the hash. Or you provide a hash, a lowercase hex encoded SHA256. Especially when uploading a file which does not fit in memory, it may be an option to hash it yourself. Next you can include various headers. The headers are included in the signature and passed to CURL for the transfer. Our plugin functions add extra headers for amazon and pass the URL to CURL with a few options. You can than add more options like SSL certificates and start the transfer. The examples will show how to upload/download an image file to Amazon S3 in your bucket. Coming soon with next plugin update. PS: if you have older code for Amazon, you may need to update it to use AWS4-HMAC-SHA256, too. Newer regions only support the newer scheme and not the older signature system. This weekend I participated in the CURL conference in Nuremberg. It’s great to finally meet the people behind CURL and learn bow all came together and what direction they want to go. We had over a dozen interesting presentations and I learnt a lot about HTTP/2, SSL security and how people use CURL in various ways. One of the things I learnt from a nice fellow is how to load the system certificates on Windows. I even found similar code for macOS, so next plugins can use system certificates. Ignore it and accept all certificates. No verification is done and middle man attack is very easy. Use a cacert.pem file with root certificates and verify against those. Use this for certificate pinning. Put the certificates of your servers in a pem file and only allow those. Or get a general cacert.pem file with common root certificates. Use system provided SSL functionality, see CURLNMBS class. Only for Mac and Windows in our Xojo plugins. New: Load system certificates and verify against them. For Mac and Windows with next plugin version. Please try them soon in FileMaker and Xojo and let me know if they work fine for you. I even thought about using the system certificates by default if you don’t provide certificates, but ask to verify. The conference was great and thanks to everyone helping. See you again some day! Wer hat Interesse an einem Xojo und FileMaker Entwicklertreffen am 17. März 2017 in Nürnberg? Einfach gemütlich zusammen sitzen und über Xojo und FileMaker plaudern. Bei Interesse bitte in der Liste eintragen. Wer hat Interesse an einem Xojo Entwicklertreffen am 7. April 2017 in Hamburg? Xojo Developer meeting in Utrecht, 10th March 2017. MBS FileMaker Plugin training day in Utrecht, 11th March 2017. If you want to join the Xojo meeting, let me know. For the FileMaker meeting you can still sign up on the MeetUp page. Implemented Source and Text properties for ChromiumFrameMBS and CEF3. The conference is coming closer and just two months are left. If you like to come, please check soon your schedule and make your reservations for traveling. Monkeybread Software is pleased to announce the MBS Xojo Conference in metropolitan Berlin, Germany. 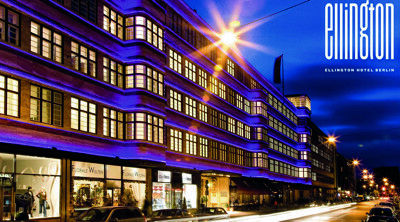 We meet in the lovely Ellington hotel in the center of west Berlin. The hotel is near Kurfürstendamm, the Zoo and KaDeWe. Beside our two conference days we have accompanying social programme with our dinner event and optional two training days. For the evenings we have casual get-together in the hotel bar or beer garden. Just two months left and we already have over 70 attendees from 16 countries. This is the only Xojo related conference in the year 2017 an the biggest so far in Europe. Attending the conference costs regularly 499 Euro plus VAT, including food and beverage in the Ellington Hotel as well as an accompanying social program. You can actually query an estimate for the quality setting used to save a JPEG image. GraphicsMagick lets you read various attributes including EXIF, IPTC and 8BIM metadata. The JPEG loader in GraphicsMagick checks the JPEG settings for colorspace, orientation and quality, so the same settings can be used to save the same image again.